Kennards Hire began in 1948 in Bathurst NSW Australia with the simple quick thinking of Walter Kennard when a client asked if he could borrow his new 'Lightburn Concrete Mixer' to which Walter replied "I'm sorry I can't loan it to you, but I can hire it to you". 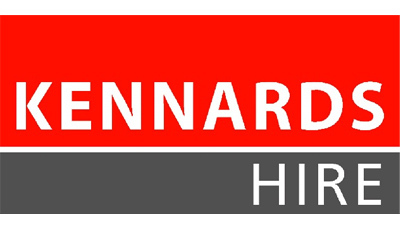 So began Kennards Hire®, which has grown into one of Australia's largest and most respected hire companies, with over 149 branches in Australia and New Zealand. Swift Senior Management started working with Kennards Hire back in 1997 and we have in one way or form since those days worked and supplied services to Kennards Hire. Swift has a uniquely designed One Tonne Flat Top vehicle which is significant to supplying services to Kennards Hire which other similar Transport businesses cannot. Swift senior management started customising our vehicles in 1999 for the sole purpose of Kennards Hire. We designed our vehicles with Tailgate Lifters to self-load and unload bulky/heavy generators, Pumps and Motors. We equipped our vehicles with Heavy Duty towbars to tow trailers, High gates to give added security and racks to carry long ladders and items. These today allow Swift to handle goods that other companies would need to use larger trucks or multiple people deliveries therefore we can significantly reduce Kennards delivery costs. These features also make Swift the safest option available as we are minimising heavy lifting and manual labour through innovation and design. On top of the above points we also meet EPA regulations when carting machinery and equipment containing Fuels and oils. Swift truly is designated to servicing Kennards Hire and is a leading carrier for the Hire Industry. Kennard Hire have worked with Swift Transport and their management team for over 12 years and are delighted with the work carried out by them. Our company is an on demand Hire business so all project work is generally fast response and needs to be of the highest quality, which is what we get with Swift Transport. They are responsible for the safe transport of many varying Kennard's Hire products ranging from small handheld items up to larger bulk and specialised equipment. Swift Transport have provided a custom courier vehicle that is purposely designed for handling our equipment taking into account safety, service and being very cost effective, which makes them a valued business partner to Kennards Hire. Swift Transport understand the high standards that our company have and are most efficient in delivering well within time limits. I would highly recommend working with them.